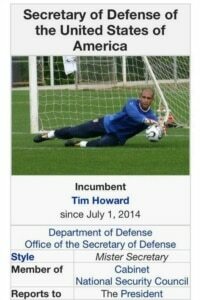 Even though the US lost to Belgium 2-1, there was arguably one US player who came out of the match a winner: goalie Tim Howard. Howard’s impressive play against 27 shots on goal – the most faced by a goalie in the World Cup in nearly 50 years – earned him fans both in the US and abroad. 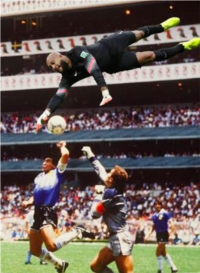 And it earned him a World Cup meme of his very own: #ThingsTimHowardCouldSave. 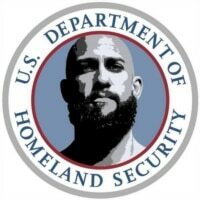 Could Tim Howard have stopped Suarez’s bite? 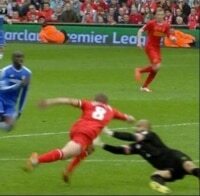 Perhaps he could have stopped the Netherlands’ Arjen Robben from taking a dive. Or Maradona’s famous “Hand of God” goal. Keeping the Leaning Tower of Pisa from falling. If only Tim Howard was around during prehistoric times. 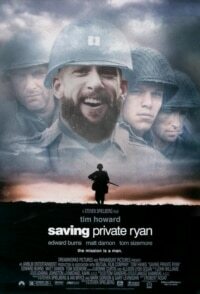 He could’ve saved Private Ryan. Bambi would’ve been a very different movie if Tim Howard was there. 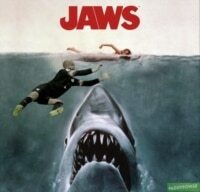 With Tim Howard around, it’s safe to go into the water again. Of the countless number of World Cup souvenirs in Brazil, the most sought-after may be one you can’t buy. 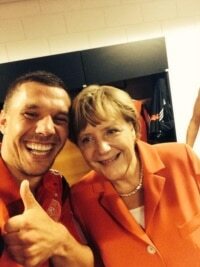 Selfies – taking a picture of yourself with a smartphone – have become immensely popular worldwide. So it’s no surprise that fans are coming to Brazil with cell phones in hand, hoping to get a selfie with their favorite player. And a lucky few have been able to do just that, and walk away with what may be the ultimate World Cup memento. …they were able to fit the entire team into the photo! Robin van Persie was just trying to help the Netherlands defeat Spain in their opening Group B match on June 13 – he surely wasn’t looking to become an Internet sensation. …and a hashtag – #Persieing!